i had some overly ripened bananas lying around the kitchen, and instead of going with banana bread this time, i wanted to try my hand at banana cream pie. i couldn’t let those nanners go to waste, so i consulted my betty crocker cookbook like every good home cook would and found a recipe right there on page 133.
as i gathered all my ingredients and tools, i began to wonder, just who is this betty crocker that we have come to know and love over the past 90 years? who is this american icon in our homes? what is her history? well, i’m so glad you asked. as i read through and learned about betty crocker and all her fame, i couldn’t figure out a better way to share it all with you besides providing the link. it’ll be a quick read and is quite interesting, so i highly encourage you to take a look! as a self-proclaimed baker, it’s fun to learn about how something as simple as answering cooking questions has become tradition. quite cool! read on to find the recipe and all its details. oh, also, i tried my hand at picture-taking while baking this time. the shots aren’t terribly exciting, but there’s only so much i can do with these two hands at once! *betty has her own recipe for pie crust, but seeing as how i have nearly zero counter space for making pie crust, i went with a store-bought one from disco kroger. if you do go for store-bought, make sure you get a 9 ounce crust because there is a lot of filling for this pie. 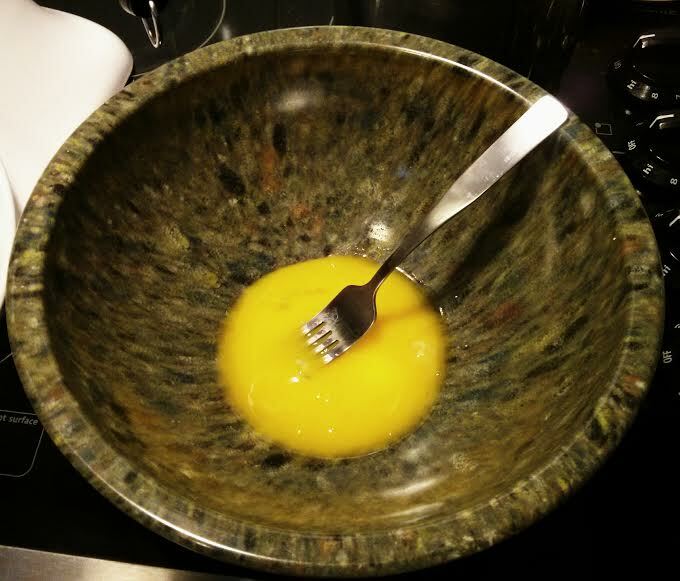 in medium bowl, beat egg yolks with fork; set aside. in 2-quart saucepan, mix sugar, cornstarch, and salt. gradually stir in milk. cook over medium heat, stirring constantly, until mixture thickens and boils. boil and stir 1 minute. 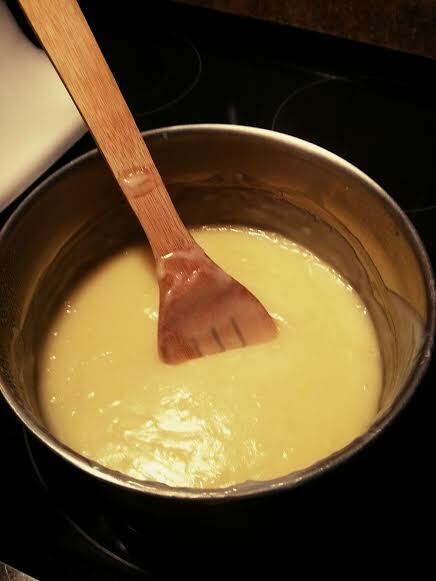 *it will take a while for the mixture to boil, so be patient and don’t crank up the heat too much. keep it on medium because once it does get warm enough and start thickening, it’s going to get hot fast. i can testify; that batter splattered up on my hand and burned me! the only action shot you’ll probably ever get. immediately stir at least half of the hot mixture gradually into egg yolks, then stir back into hot mixture in saucepan. boil and stir 1 minute; remove from heat. stir in butter and vanilla; let the filling cool slightly. slice bananas into pie crust; pour warm filling over bananas. press plastic wrap on filling to prevent a tough layer from forming on top. refrigerate at least 2 hours until set. 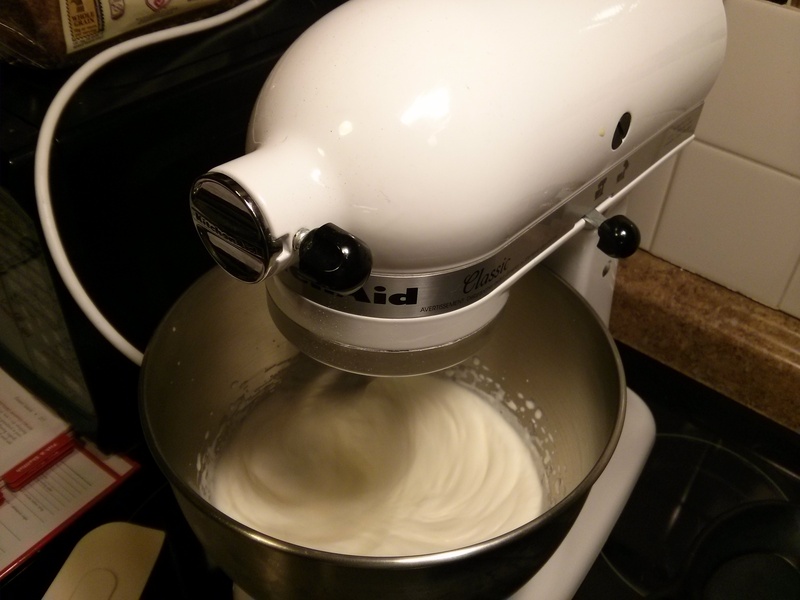 in the chilled bowl, beat all ingredients with electric mixer on high speed until soft peaks form. i lied! here’s another action shot for your viewing pleasure. remove plastic wrap from pie and top with sweetened whipped cream. cover and refrigerate cooled pie until serving. store covered in refrigerator. Ooh, why not! You could layer them on the bottom of the crust before layering on the bananas for a crunchy surprise. Of course! Let me know how it turns out!